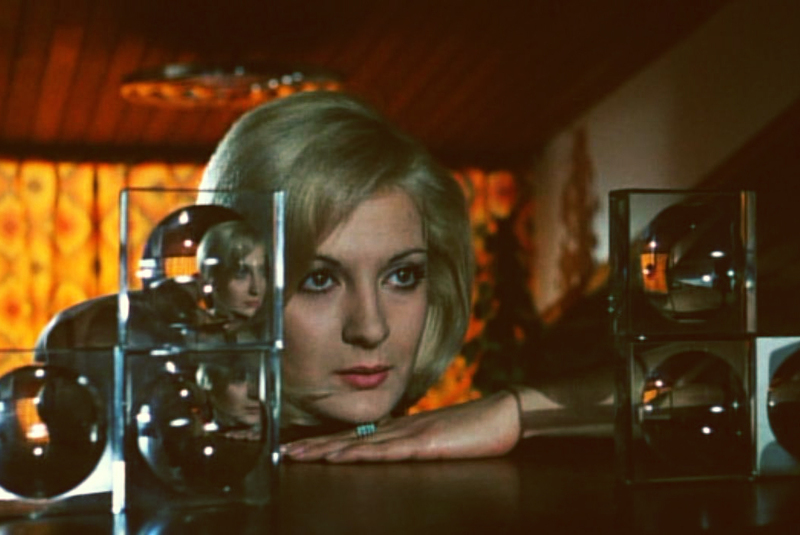 Here is a still from the 1971 Mario Bava giallo Twitch of the Death Nerve. It’s one of the few I’m comfortable posting, because most of the Google image search results for this title yield gruesome results. It’s that kind of movie, but know at least that it pulls off the bloodshed with a certain level of style: The opening scene illustrates my claim nicely: a double murder, sure, but one committed in a formal drawing room, at least. That’s class right there — death amid decor. Aside from classy murder set pieces and its status as a proto-I Know What You Did Last Summer, Twitch of the Death Nerve is also famous for being released in various markets with a bajillion titles. And I took Wikipedia’s promise of it having “probably more titles than any other movie ever released” as a challenge to collect them all. And here they are — working titles, foreign release titles, and any other possible way this slasher whodunit was marketed at one movie-goer or another. As you may have surmised from watching the opening scene, White People Problems could have been the subtitle to literally any one of these alternate titles. But you have to appreciate the effort on the part of whatever marketer in whatever region sitting and thinking about how they could best trick people into watching a movie about awful people murdering each other in a grand, bloody effort to secure the biggest possible inheritance. Previously: more fun with bizarre film title translations. ο κρικος τον εγκληματων - ring of crimes? Το σπιτι με τα αλυσιδωτα εγκληματα - the house with the chain of atrocities? These are all better in their "raw" translated form. Thanks!